Minister of European Integration Jadranka Joksimović has stated today that significant progress was made in 2018 in the area of the rule of law. 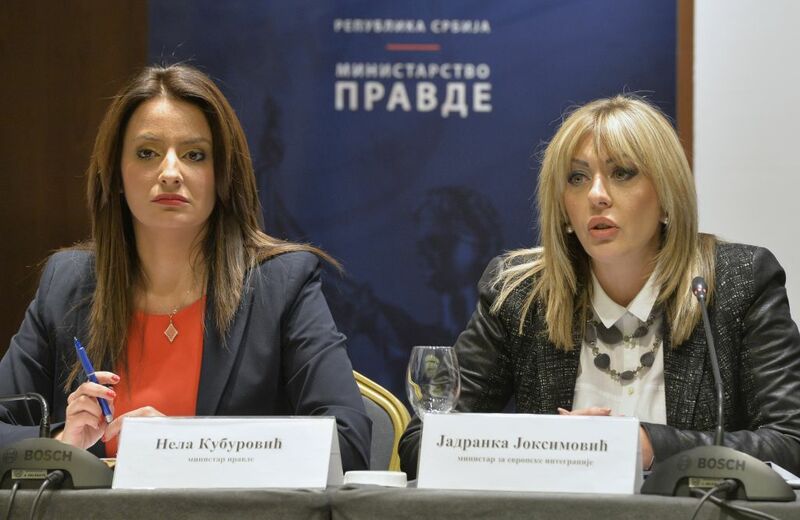 At the presentation of the first draft of the revised Action Plan for Chapter 23, Joksimović said that the implementation of the adopted document would result in that progress becoming even more visible. She explained that during the past year, an inclusive and transparent process regarding constitutional amendments had been conducted, that several vital laws had been adopted, adding that the development of the media strategy was in its the final stages of preparation and that it would soon be put to public debate. “These are important and extremely crucial steps in terms of achieving Serbia's obligations, not only towards citizens, but also within the negotiation process under Chapter 23, which is essential for achieving overall progress on the European path”, said Joksimović. She recalled that Serbia and Montenegro were the first countries to undergo a new negotiation form, which implies opening chapters 23 and 24 on the rule of law at the earliest stage. Joksimović stated that one of the reasons for the delay in applying some of the provisions of the current Action Plan for Chapter 23 was the lack of sufficient experience with this type of document, recalling that the European Commission had submitted interim benchmarks to Serbia just before the opening of chapters 23 and 24 in July 2016. “We must consider the fact that the Action Plan was prepared at the very beginning without any knowledge of the interim benchmarks that were subsequently submitted. This is one of the causes for setting over-ambitious deadlines”, said Joksimović. Joksimović indicated that Serbia was ready to solve the problem of unrealistic activities and deadlines set prior to the revision of the umbrella document that oversees the entire process of aligning Serbian laws with the EU legislation. “This demonstrates the realistic and competent examination of problems in the implementation of activities under Chapter 23”, said Joksimović. 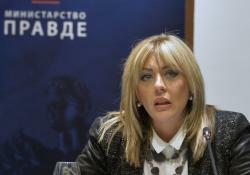 She specified that the National Plan for the Adoption of the EU Acquis envisaged that Serbia would fully align its legislation with the EU by the end of 2021, adding that work on the implementation of interim benchmarks would continue and that closing benchmarks for Chapter 23 were soon expected to be received. “This is a process that is vital for society, but it is also formally and procedurally linked to Serbia’s negotiating framework with the EU and the procedures that the EU has imposed on us as a candidate country, which we have accepted and which should not be changed on the fly”, stated Joksimović. 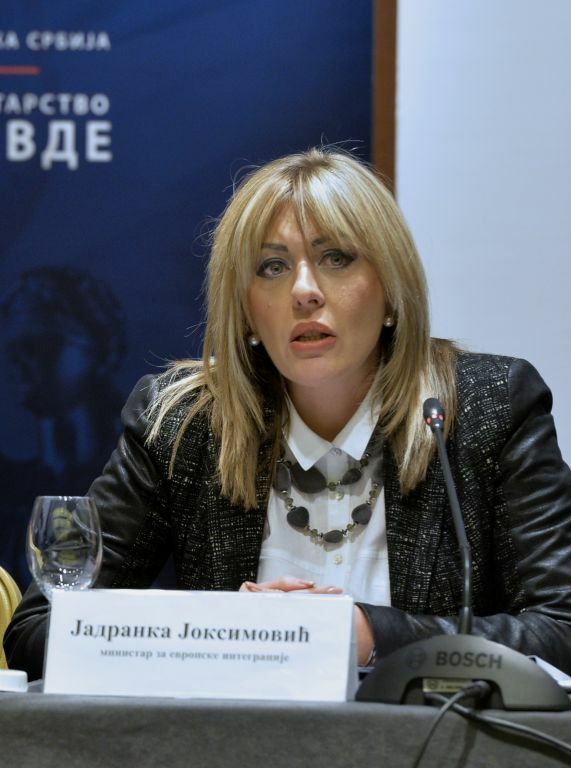 Joksimović stressed that the involvement of all stakeholders in the process of drafting the revised Action Plan was extremely important in order to define the activities and frameworks for implementation in a credible manner, adding that she believed that the bearers of activities in that process had cooperated with the civil society from the start. “I believe that a debate at the expert level has been present since the beginning and that it should be rounded off by the final instance of public debate by the time the draft that will be sent to the European Commission is set on the agenda”, indicated Joksimović. The Minister highlighted that the revision of the Action Plan did not mean the deletion of the envisaged activities and that none of the activities that had not been implemented within the current Action Plan would be deleted. “They may be reformulated or specified in further detail, but they will not be deleted; there can only be additions”, said the Minister, adding that she believed that Serbia would develop a relevant document that would be applicable. Joksimović also pointed out that the bearers of activities in the process of internal analysis cooperated with the civil society. “The civil society has been involved in the process since the beginning, because there are experts in both state institutions and the civil society - one does not become an expert only after leaving the public administration system."